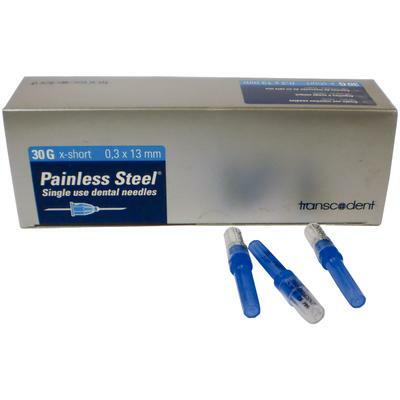 Painless Steel™ Dental Injection Needles are disposable and sterile needles for the delivery of anesthetic. Each needle has a three-edge lancet grinding and a siliconized cannula for smooth entry. The needles are to be used with imperial thread injection syringes.